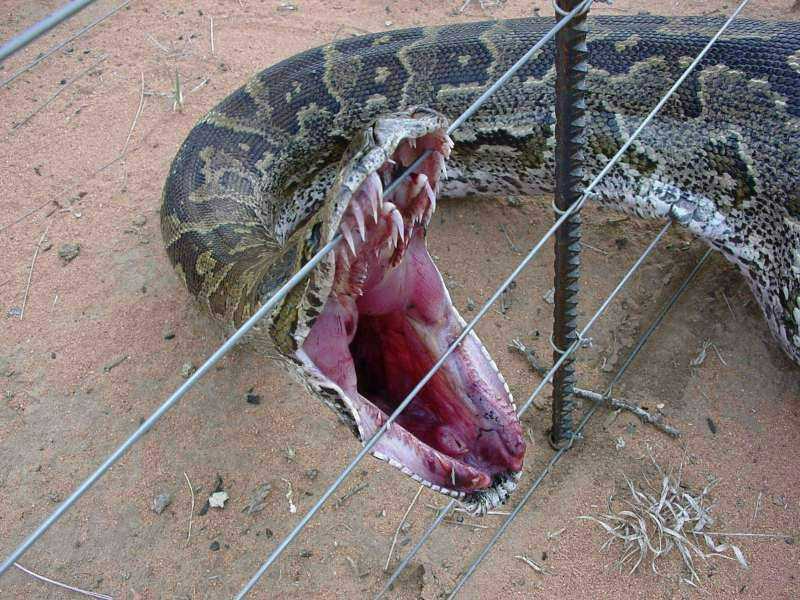 Two gruesome pictures of a Python caught in an electric fence. Warning: not for the faint of heart. 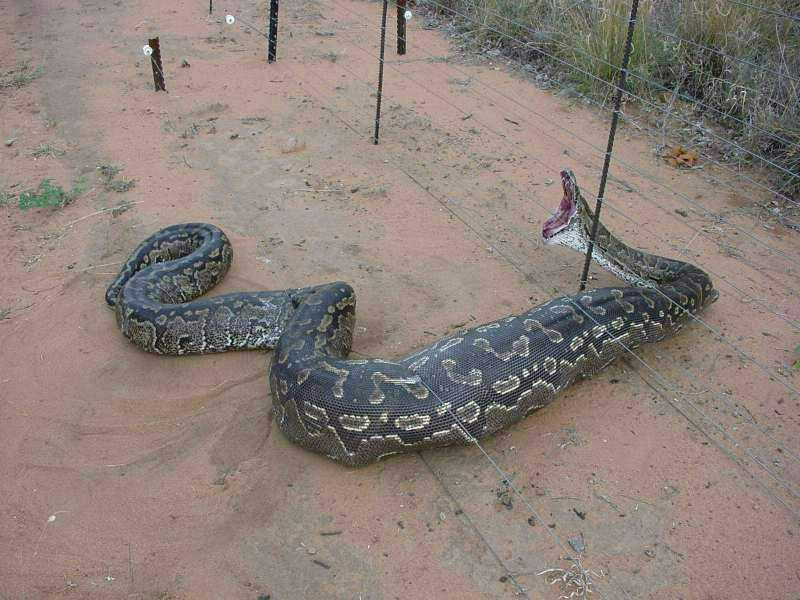 This Python was caught in an electric fence after eating a whole sheep. The bulge is the sheep. Have an opinion? Readers have already posted 9 comments about this weblog entry. Why not add yours? If you'd like to be notified whenever Guido van van Rossum adds a new entry to his weblog, subscribe to his RSS feed. Guido van Rossum is the creator of Python, one of the major programming languages on and off the web. The Python community refers to him as the BDFL (Benevolent Dictator For Life), a title straight from a Monty Python skit. He moved from the Netherlands to the USA in 1995, where he met his wife. Until July 2003 they lived in the northern Virginia suburbs of Washington, DC with their son Orlijn, who was born in 2001. They then moved to Silicon Valley where Guido now works for Google (spending 50% of his time on Python!). This weblog entry is Copyright © 2007 Guido van van Rossum. All rights reserved.